This week (particularly on Thursday evening/Friday morning), the world will get to see Lance Armstrong apparently `fess up to Oprah Winfrey regarding his lengthy and comprehensive doping programme. The United States Anti-Doping Agency (“USADA”) report into his misdeeds (and there were a lot of them) was a massive shock to the sporting world, and this is Lance’s chance to get across his side of the story, whatever that’s worth. Lance Armstrong had of course in his pre-2012 existence been an example to millions of people. Here was a man who had had a promising cycling career, then been stricken with apparently terminal cancer apparently in his prime. I read “It’s Not About the Bike” when he was hitting his peak of fame and felt rather emotional when Armstrong described, having had a particularly bad reaction to a session of chemo, being barely able to cycle 50 yards before feeling utterly exhausted and as a result demoralised. The book set out his battle with cancer in great detail, and at the time I found his words and his story utterly inspiring. Armstrong had seemingly battled back from the brink of death to the very top of one of the most physically demanding sports there is. Seven Tour de France in a row was an unprecedented achievement – and he had done it clean. Or so we thought. Then there was his wonderful charity work. “Livestrong” became one of the most recognisable brands in the world; 2005 was awash with chaps of a certain age wearing yellow wristbands with the slogan subtly engraved into the plastic. The name, the wristband and the brand were so inextricably linked to Armstrong’s incredible recovery, and his subsequent “clean” victories. What cannot be denied is that Livestrong has raised millions for a cause that is so important that pointing out its importance is largely pointless. Cancer research and treatment are vital, and every penny which goes anywhere near that cause is an important one. I’m sure “It’s Not About the Bike”, and Armstrong’s apparent achievements, will have helped cancer sufferers and inspired them in their recovery. Where the difficulty comes in for Livestrong in particular is that the money they have received since the charity’s inception has at best been raised on an untruth, and at worst is utterly tainted. Granted, it is true that he recovered from a seemingly terminal form of cancer – it is of course what he did after that that arguably taints the work of Livestrong. 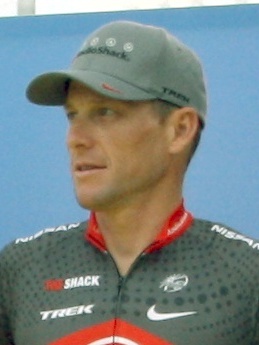 Armstrong the man and his associated brands are undoubtedly done for financially, though he made a shrewd and fairly selfless move in removing himself from the Livestrong board not long after the USADA verdict was announced to attempt to preserve the charity’s good name. His interview with Oprah won’t, I think, change very much. I imagine she won’t have asked him particularly searching questions – it certainly won’t be Paxman repeatedly asking “Did you threaten to overrule him?”, which might actually have worked as a question for Armstrong himself in relation to this treatment of his US Postal team-mates. Although he does seemingly confess to something, one imagines we will get a small percentage of the full story at best. This is Armstrong’s last chance, you feel, to redeem himself in the eyes of the world. I for one, hope he doesn’t redeem himself, and I don’t think he will in any way. USADA have proved Armstrong is a liar, a man who duped people into believing his incredible story, myself included. He has a long road ahead of him, with most of the next few years likely to involve going in and out of courtrooms in defence of multi-million-dollar claims against him (the US Postal Service is seemingly working up to raising an action as I type). I must say I feel not a twinge of sympathy for his predicament – I imagine his chat with Oprah will do nothing to raise such sympathy in anyone else. A bit more off-topic action in today’s post. There has been rather a lot of discussion in the last few days as to how, and indeed if, the UK’s various gold, silver and bronze medallists from the recent Olympics should be rewarded by their nation. Knighthoods have been suggested for some (particularly for Bradley Wiggins and, to a slightly lesser degree, Mo Farah), and the debate has now centred on where the cut-off is. Should all the gold medallists get at least an MBE? All medallists get at least an MBE? 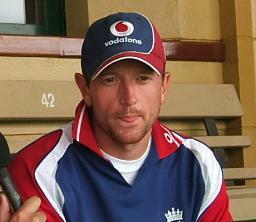 Paul Collingwood is a fine cricketer, and was a sound international cricketer, no question, who served his country well. What is perhaps less clear is his contribution to the Ashes in 2005, which led to him and his team-mates all receiving, at the very least, MBEs. Collingwood was in the squad throughout that relatively historic series, but didn’t feature until the fifth Test at the Oval. His contributions of 7 in the first innings and a fairly gutsy 10 in the second helped England over the line to draw that final Test and win the series outright. What I’m a bit less clear on is why those actions deserved an MBE. Yes, he was part of a winning team, but his 17 runs compared with Kevin Pietersen’s 473 is a bit on the low side. Indeed, you could argue Gary Pratt provided a more defining moment in those Ashes, and all he got was a trip on the booze cruise to Downing Street. To be fair to “Colly”, his contributions in the 2009 series in particular possibly absolve him of some of the disdain for his honour, but the timing was a bit off. Robbie Earle has always struck me as a likeable, if slightly misguided and overpaid, chap. His MBE in 1999 was for services to football. Having had a bit of a scout about, I’m not entirely sure what he did above and beyond playing for Wimbledon and Jamaica to receive such an honour, although he does seem to have done a lot for Kick Racism Out of Football. Having said that, in 1999, Helen Rollason (the late BBC sports reporter) also received an MBE for her charity work and fighting terminal cancer while still appearing on the news with regularity. Robbie was the captain of Wimbledon. I’m not having a go at him; I’m pointing out that perhaps the honours system works in a bizarre fashion, and continues to do so. There’s no doubt that Nick Faldo achieved a lot in his career. A fine golfer, a worthy winner of six major championships (3 Masters, 3 Opens). His last major triumph came in 1996, defeating Greg Norman in the Masters in an incredible final round turnaround. He’s designed golf courses, captained a wildly unsuccessful (by modern standards) European Ryder Cup team and been annoying on the telly since. His knighthood in 2009 for “services to golf” was, therefore, something of a surprise; at the rate Rory McIlroy is going with major wins he can expect an knighthood at least before he’s 30. To be (vaguely) fair to Barry Ferguson, it’s perhaps his conduct since the receipt of his MBE which has made him seem particularly undeserving of the award. He’d hardly been a 28-year-old angel up to that point, but his conduct during the World Cup 2010 qualifiers in particular make those 3 letters after his name seem rather disingenuous. Barry had seemingly done a lot of work for the Rangers Charity Trust to go towards the receipt of his award. Nevertheless, a Scottish footballer who’s won a few titles and did a bit of charity work, then gave the world the finger on live television is a member of the Most Excellent Order of the British Empire. Based on the list above, then, and no doubt countless other examples that some may care to mention, there is a difficult balance to be struck when it comes to Olympic honours. It’ll be interesting to see how the Committee chooses who gets what. Given the precedents previously set, someone will no doubt emerge from this process, come 1 January 2013 (although thats when they’re announced, the potential recipients find out rather earlier), a little upset. This is, I realise, a little off-topic for a football blog but I felt I couldn’t let the Games go entirely without commenting on their undoubted success from my point of view. If this Games hasn’t, nothing will. I love the Olympics, and therefore a home Olympics is something I’ve been looking forward to since the announcement was made by Jacques Rogge (“are awarded to the city of….LONEDONE”) in that mad week in July 2005. They’ve held a certain mystique for me ever since I did a “personal project” on the Summer Olympics in Primary 7. Names like Jesse Owens, Ray Ewry, Olga Korbut and Steve Redgrave suddenly became familiar to me. I can still pretty reliably name the host cities of every Summer Olympics (though I do get a bit mixed up now in the 1910s and 1920s). Even though the first Games I properly remember was the commerciality-ridden bedbug of an occasion that was Atlanta `96 (staying up till 2:30 to see Linford Christie get disqualified is a memory that particularly sticks), the Olympics has always had a bit of mystique for me. Therefore, London 2012 excited me more than usual. Although I had only managed to get tickets for four (subsequently 5) football matches, I couldn’t wait for things to get going. And what a show we had. From 26 July and two tremendous matches at Hampden (who knew Honduras v Morocco would be a cracking game of football), to the quirkily British opening ceremony, to the 4-day lull of gold followed by the amazing 12 days of metallic beauty for Team GB (and NI) that followed, these Olympics were just fantastic. A number of things have struck me in particular about these Olympics. What these Games seem to have done, more than ever, is get people who have little or no interest in sport glued to the TV. Suddenly it was the talk of work, my girlfriend from not liking track and field wasn’t impressed when we missed Jess Ennis’s long jump attempt because of my channel hopping, and quite suddenly the mood of the country generally turned from gloomy discussion of the economy or immigration to animated chats about track cycling and the merits of dressage. It was a wonderful fortnight or so (other than the closing ceremony…). This hasn’t happened before, and certainly didn’t despite the (then) unprecedented success of Team GB 4 years ago in Beijing. In fact, if Juan Antonio Samaranch was still in charge of the International Olympic Committee, I think he would have said this was “the best Olympics ever.” Yes, he did say that for every Olympics he oversaw (other than the aforementioned Atlanta), but there was something about London, even if I only witnessed the atmosphere (mostly) through the TV. For one, it has shown that Britain can host major sporting events like this quite easily. It seems sad that England won’t get a World Cup till at least 2026 now (after FIFA’s latest “decisions”), and after this year it’s highly unlikely we’ll see another home Olympics/Paralympics in our lifetimes (given the last London games was in 1948, 64 years on gives us London 2076, anyone?) 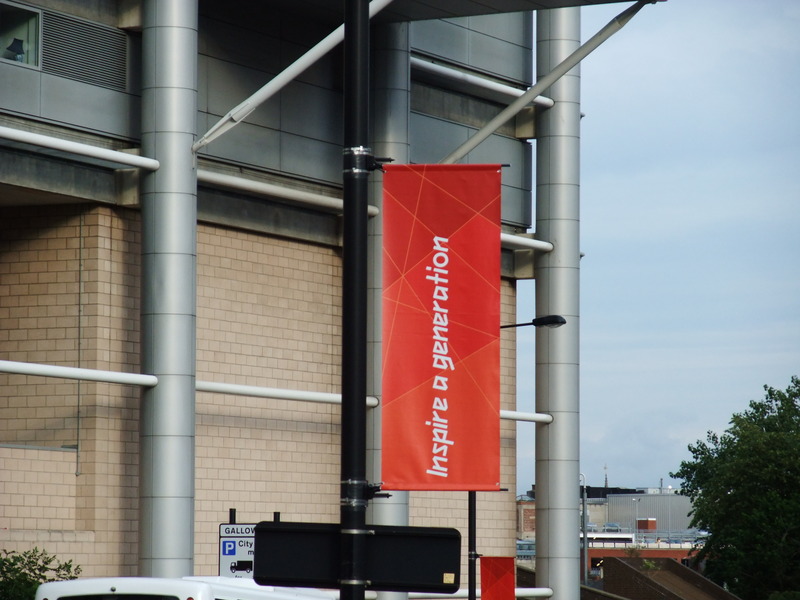 given the fantastic success of the 2012 Games. It also shows that the British people have an unparalleled enthusiasm for sport, and seeing the best people perform on their home stage. Yes, Jess Ennis and Mo Farah were roared from beginning to end in the Olympic Stadium but Usain Bolt, Yelena Isinbaeva (until she went in a huff under the duvet) and the US women’s 4×100 relay team were given similar treatment. This atmosphere of course wasn’t just exclusive to the Olympic Stadium itself. The Aquatics Centre went wild for Adlington, Jamieson and Daley, but also for Phelps, Lochte and Ye Shiwen. The Velodrome crowd… well they were at least decent to Anna Meares. Yes, there was undoubtedly partisanship on display (and so there should be – it’s the number 1 advantage for the sportsmen and women at a home games), but there was also respect and appreciation for brilliant performances and incredible sportsmanship throughout. Speaking from experience, at the football, the majority British crowds cheered everything; every decent pass, every effort vaguely near the goal, and stood up for every goal and every national anthem, no matter the team involved. In the main, of course, the crowds (mostly) veered towards the underdog when they could. I am in no doubt that it was the same at every Olympic venue. A week on, people are still talking about them. The One Show (I’ve watched it this week because it’s had Olympic things on it) has kept the enthusiasm up a little bit, and this fantastic story about the Brownlee brothers’ letter and reward from an elderly gentleman. Largely though, what we need is the Paralympics to hurry up. And then Rio in 2016 to do exactly the same.